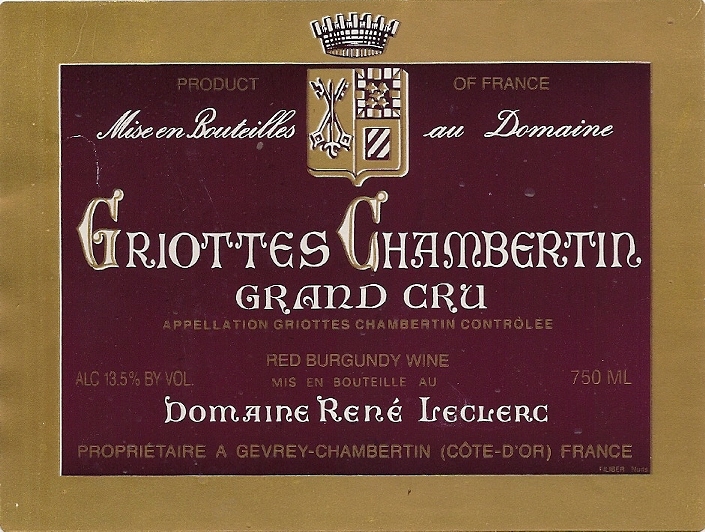 René Leclerc and his son François are a good example of the family character of Burgundy domaines. 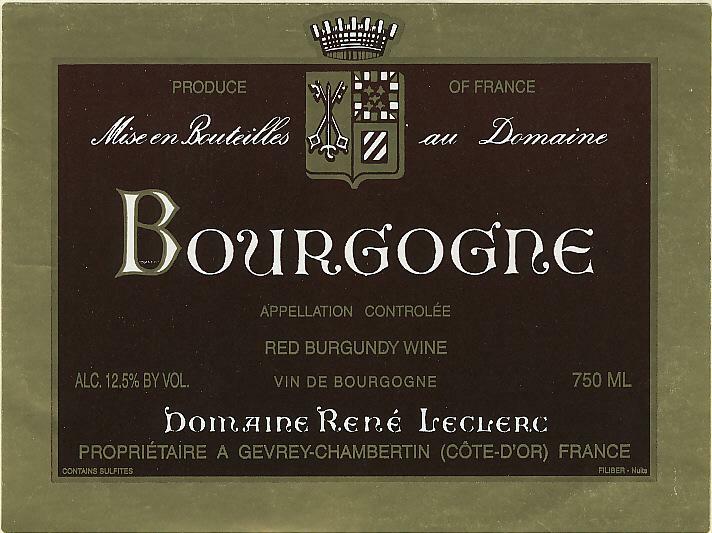 In recent years, René Leclerc has gradually passed on the winemaking and management of the domaine to his son, François. The domaine consists of 12 hectares in and around Gevrey-Chambertin, producing Gevrey-Chambertin Village, Clos Prieur, Lavaux St. Jacques 1er Cru, Champeau 1er Cru, Combe aux Moines 1er Cru and a small amount of Griottes-Chambertin Grand Cru. 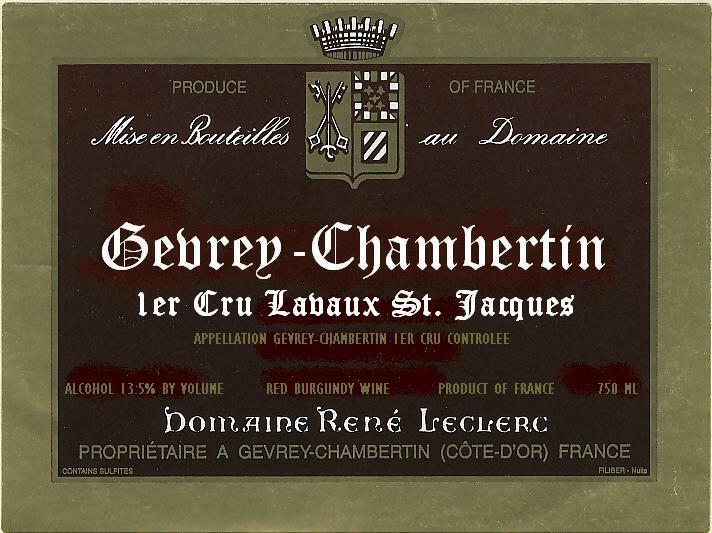 As with all generational shifts in Burgundy, François also brings personal experience from work in Oregon and his own vision of what his vineyards can achieve. 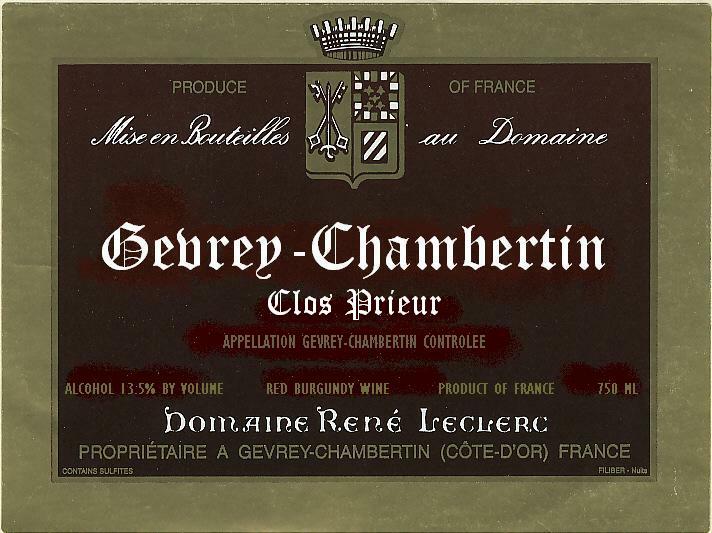 The irrepressible François has put his stamp upon the wines, while still maintaining a acknowledged deference to his father: a reduction in yields in the vineyards, eliminating all new oak in the cellar, and a true non-interventionist approach are all part of the current protocols chez Leclerc.